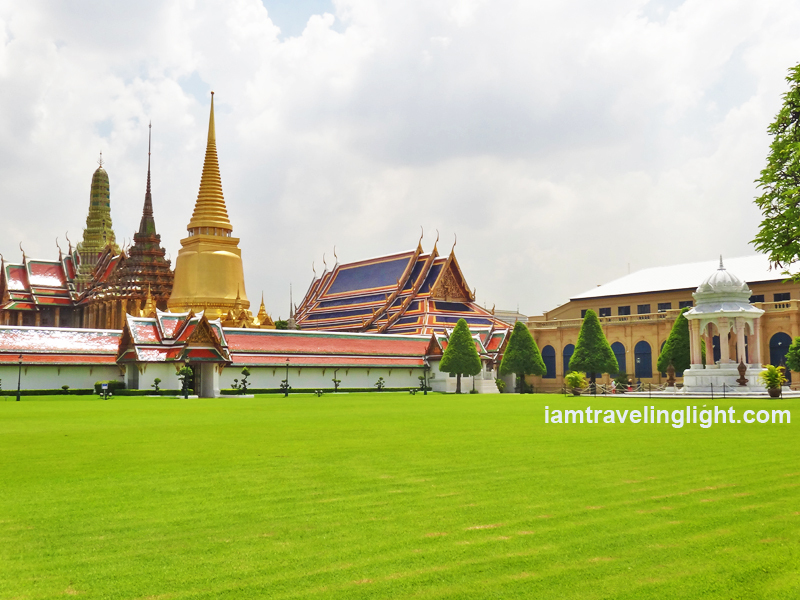 Onboard the Chao Praya River Express, I got off at Tha Chang Pier, expecting only a morning of being awed by the Grand Palace, and, as a side trip, eating pad thai on the land where it is hailed as the national food. What I did not expect was that the side trip would be the day’s highlight, as I savored the best pad thai I have ever tasted, so good that I felt tears in my eyes. 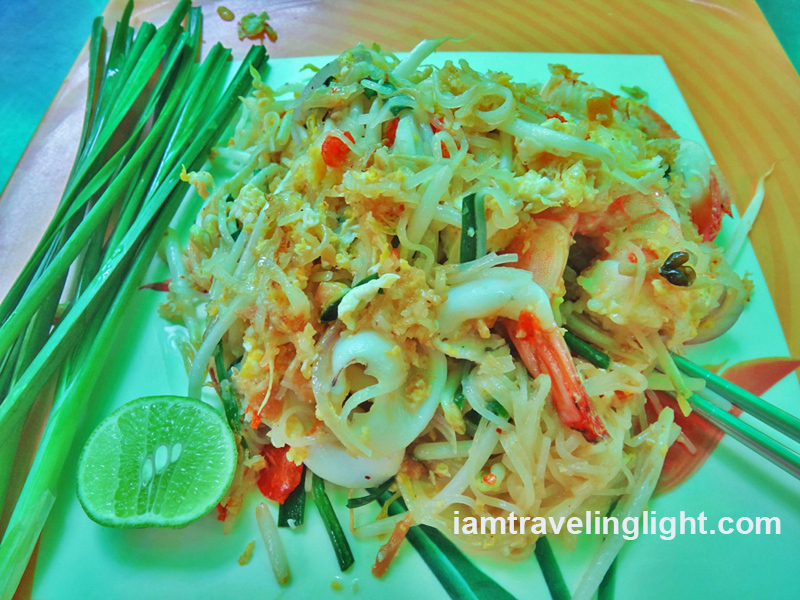 Pad thai is one of my favorites which I eat even in my country, but there is nothing quite like eating it in Thailand. I don’t think I will ever tire of the experience – I actually ate pad thai every day on my first Thailand trip four years ago. Fully intending to eat pad thai only after my Grand Palace visit, I breezed through the colorful food stalls on the way, but immediately stopped when I saw a pad thai stall with a tarp visibly proclaiming “Original: Since 1963.” My curiosity getting the better of me, I moved closer and saw a fully made-up woman smartly and efficiently stir-frying pad thai and expertly lifting the wok and tossing the pad thai in what appeared to be perfectly timed moments. Her poise and her bearing seemed fit for a corporate boardroom, and yet she looked at ease and confident here. Intrigued by both the tarp’s claim and the woman, I sat down to order but I told the male staff I was not in a hurry to eat since I wanted to know the story behind the pad thai first. He was only too eager to share the story. I also found some of the information on the menu. Pad Thai Tha Chang is a pad thai stall three generations old, with the granddaughter, Maneerust Phongprom, as the current owner and cook. Her grandmother opened the food stall when she was only 17 years old, and later passed it on to her daughter. The daughter then passed it on to Maneerust, though later I found out that the story was not really that straightforward. During college, Maneerust helped her mother out in the stall, which she described as an “awkward time” in the beginning for her as she did not know then how much ingredients to use. The pan also felt too heavy for her. After graduation, for about five years, Maneerust worked in a corporate office (so that explains the way she carries herself! 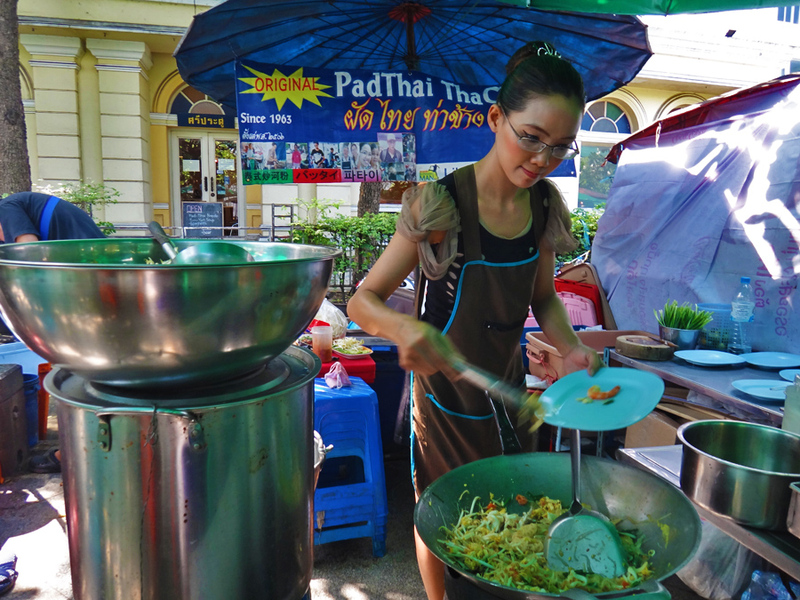 ), but, when her mother passed away, she quit her job and quickly took the helm of the pad thai stall. Earlier, her mother had expressed her wishes of Maneerust inheriting the business. Now, Maneerust has been cooking full-time for over two years. The male staff, Poom, could not contain his enthusiasm as he recounted the story of Maneerust’s sudden career change. He also helped me talk to her. “Did you not protest at first, when your mother asked you to take over?” I asked her. I imagined she must have been steadily building a corporate career, which she gave up for this. Pad Thai Tha Chang’s cook and owner, Maneerust Phongprom (also known as Bill), is passionate about what she does. Indeed, this cook did develop a fascination, and later, a love for cooking. What was at first her awkwardness blossomed into confidence as she watched and learned from her mom before cooking on her own. Poom revealed to me that there is no secret family recipe passed down for generations; instead, the daughter repeatedly observes her mother cooking and, in turn, also cooks repeatedly. This wisdom and experience beyond a fixed recipe is what was passed down these three generations, and what can be tasted in each pad thai dish they prepare. The way the daughters learned to cook pad thai reminded me of the indigenous tradition both in the Philippines and other countries, where learning is done not through books but through observing, doing, and embodying – becoming it. Indeed, the wisdom of her grandmother’s and her mother’s pad thai, including her own, is in Maneerust’s bones. “Every dish of our pad thai is an epitome of our love for cooking, conventional culinary culture and Thai hospitality” is the claim written on the current menu of pad thai with choice of plain egg (starts at 40 baht), chicken, shrimp, squid, seafood, or mixed ingredients. When I took that first bite, I fully understood what they meant. In this seafood pad thai I tasted not only just the right blend of sweet, sour, and savory enveloping each ingredient, but also its long history and the creativity, experience, and love of three generations of women passionate at what they do. The love felt so palpable that tears came to my eyes. It was undeniably the best pad thai I have ever tasted. I lingered for a while after eating, chatting with Poom, who had earlier introduced himself as Paul, as he had stayed in the US for some years. He said that Maneerust also has an English nickname, Bill. And it was in my staying a while that I found out an interesting detail: Poom is Maneerust’s boyfriend, and is very supportive of the path Maneerust chose. Another fascinating side to the love story behind the best pad thai. And I was glad that I had stopped and ate pad thai earlier than planned. If I had not, I would not have heard the story behind the best pad thai I have ever tasted, which might possibly even be the best in Thailand. With a happy heart and stomach, I made my way to the Grand Palace. thank you for the very interesting tip.must try . Mmmmmm! The pad thai is making our mouths water.